Volunteering on a Projects Abroad Care project in Tanzania is a way for you to help improve conditions and the level of education for local children. You can join a volunteer care project during a gap year, career break, or vacation, or even during your retirement. Volunteers with qualifications and experience are welcome but you do not need to have either to volunteer. All you need is energy, passion, and a commitment to the children that we work with. Tanzania is no longer one of the poorest five countries in the world, a position it occupied in the mid-1980s. However, due to the increase of HIV/AIDS in the country, and a life expectancy that remains low, many children in Tanzania still need extra help. 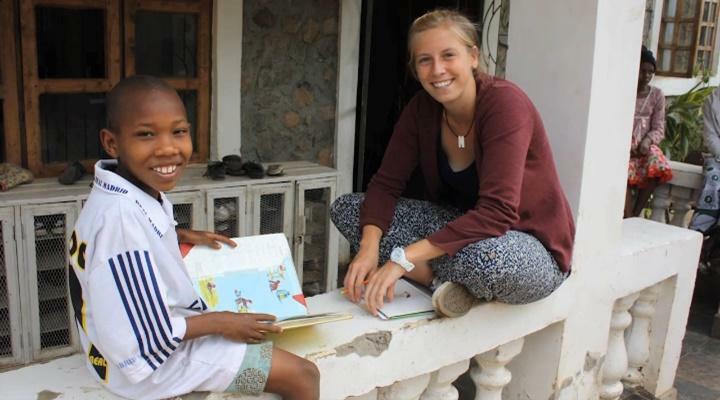 We have a variety of volunteer options for you in Tanzania, working in care or special needs centres, and kindergartens with children aged from 0 to 14 years old. Our Care placements are located in and around the town of Arusha in northern Tanzania and in Kilimanjaro region in a town called Moshi. We have some placements in smaller day care centres that look after children from single parent families or the children of street beggars. Some volunteers in Moshi also work in kindergartens, where the local staff appreciate the extra help from volunteers organizing fun and educational activities. Volunteers may also work at a special needs placement in Arusha, and depending on placement availability in Moshi too. Disabilities include autism, Downs’s syndrome, deaf or blind children, and other varied physical and mental disabilities. Volunteers play a key role when it comes to improving the quality of life for these children and young adults. Whichever volunteer Care project you join in Tanzania, the children will keep you busy and demand your full attention. Some placements are more challenging than others. There may sometimes be children in your care who have health problems or who need special attention due to disabilities. The Projects Abroad team in Tanzania organizes regular workshops for care volunteers in both Moshi and Arusha. The content of the workshops varies and can focus on cultural differences in placements, learning key vocabulary in Swahili, reflection and feedback sessions between volunteers, or practical ideas for care activities. You will gain a deeper insight into the care system in Tanzania and the background of your placement. Some workshops are held at the placement itself so that you can learn from the local supervisors and share ideas. In many of the care centres they have limited toys for the children and so the local staff carry out basic lessons with children as young as three in order to keep them occupied and stimulated. Education is very important for the younger generation in Tanzania. Volunteers work alongside local teachers developing resources and classroom activities to make the lessons more interesting. These lessons help improve the children’s level of English as well as basic numeracy. We encourage volunteers to get involved with these lessons and carry out basic educational activities with the children, including arts and crafts, coloring, and simple math games. Whether you are feeding and bathing babies and toddlers, helping older children with school homework or playing a game with the younger ones, you will help provide emotional support, educational opportunities, and improve the quality of life for the children in Tanzania. Please let us know about any extra interests or skills that you have and inform us if you have a preferred type of Care placement. Over the years, our volunteers have worked with children at orphanages and residential care homes in Tanzania. They have done incredible work at these placements, improving living conditions there and creating opportunities for children by supporting their education and care. However, we have decided to move our focus away from orphanages and homes toward community and family-based care. This is because we believe stable family environments are best for the children we work with. Read more about orphanage volunteering and our position on it. 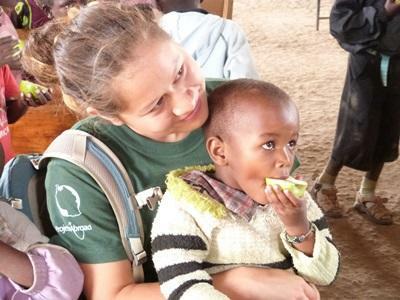 This means that instead of volunteering in orphanages in Tanzania, volunteers will work in placements like day care centres, kindergartens and schools, or support groups for the elderly and mothers and babies. This will help Projects Abroad build stronger relationships with local communities and – most importantly – help families stay together and flourish. Due to the nature of the Care placements we work with, we recommend that volunteers come for at least four weeks. However, we also offer two week Care projects in Tanzania. If you decide on a two week placement please be aware that you will be placed in a kindergarten or a special needs school; you will not be able to work in an care centre. If you are a high school student and first-time traveller you may want to consider our High School Special programs in Tanzania.